Rain is only a problem if you don’t want to get wet! If you are in Bournemouth at the moment, you may have noticed that the days are becoming shorter, colder and each day it rains more and more! This is usually only if you are planning to come here during the Winter time, don’t be afraid! ‘Rain is only a problem only if you don’t want to get wet!’. This is a Chinese proverb, which means that it all depends on your mood and the way you want to see you’re day by day. So, in order to help you, we have selected some things for you to do in Bournemouth for each day of the week whilst improving your level of English! Each Monday you can attend to Free English conversational group at Yates bar, located in the heart of Bournemouth. It’s the perfect way to start the week, meet new friends and of course, practice your English for free! Time: From 6.30 pm to 10 pm. 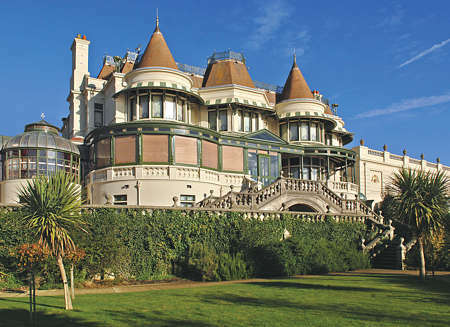 We suggest you to go to the Russell Cotes Museum; it’s one of the most unique museums in the World. You can find changing and permanent exhibitions from the contemporary to the classical art. Are you ready?! Have fun and meet new people Salsa dancing! Enjoy yourself in a real English pub with your friends! The best way to practice your speaking is socializing and this is a good chance to have all of it at the same time! 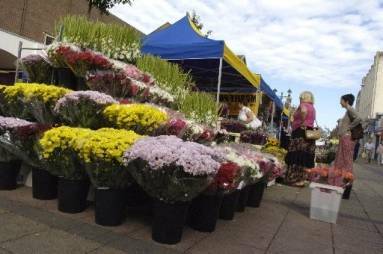 Located in Boscombe, there is a real Street Market every Thursday and Saturday where you can buy food, flowers, carpets, bags, clothes, etc…. Enjoy the environment and discover the oldest area of the city! Is there anything more typical for a Sunday afternoon that going to the cinema? Furthermore if you have a student card, you will have a discount! Also in the Odeon cinema you can find films with subtitles (not every day), which will help you for a better understanding of the English Lanugage. I hope you find all these plans useful to enjoy your stay in Bournemouth! If you have already done any of these suggested, then please share with us your experience! By worldchoiceeducation in How we help you, Student Advice on October 17, 2013 .